Patients with LAL deficiency (also known as Wolman disease and cholesteryl ester storage disease [CESD]) have no or little LAL enzyme activity. This results in a build-up of fats within the cells of various tissues that can lead to liver and cardiovascular disease and other complications. Wolman disease often presents during infancy (around 2 to 4 months of age) and is a rapidly progressive disease. Patients with Wolman disease rarely survive beyond the first year of life. CESD is a milder, later-onset form of LAL deficiency and presents in early childhood or later. Life expectancy of patients with CESD depends on the severity of the disease and associated complications. Wolman disease affects one to two infants per million births, and CESD affects 25 individuals per million births. 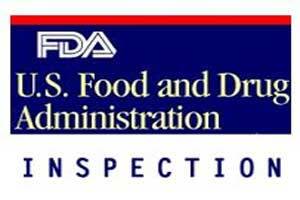 Today’s action involved approvals from two FDA centers. The Center for Veterinary Medicine (CVM) approved an application for a recombinant DNA (rDNA) construct in chickens that are genetically engineered (GE) to produce a recombinant form of human lysosomal acid lipase (rhLAL) protein in their egg whites. The FDA regulates GE animals under the new animal drug provisions of the Federal Food, Drug, and Cosmetic Act, because an rDNA construct introduced into an animal to change its structure or function meets the definition of a drug. The Center for Drug Evaluation and Research (CDER) approved the human therapeutic biologic (Kanuma), which is purified from those egg whites, based on its safety and efficacy in humans with LAL deficiency. The new therapy, Kanuma, provides an rhLAL protein that functions in place of the missing, partially active or inactive LAL protein in the patient. Kanuma is produced by GE chickens containing an rDNA construct responsible for producing rhLAL protein in their egg whites. These egg whites are refined to extract the rhLAL protein that is eventually used to produce Kanuma and treat patients with LAL deficiency. The GE chickens are used only for producing the drug substance, and neither the chicken nor the eggs are allowed in the food supply. Kanuma is approved for use in patients with LAL deficiency. Treatment is provided via intravenous infusion once weekly in patients with rapidly progressive LAL deficiency presenting in the first six months of life, and once every other week in all other patients. CDER evaluated the safety and efficacy of Kanuma in an open-label, historically controlled trial in nine infants with rapidly progressive Wolman disease and in a double-blind, placebo-controlled trial in 66 pediatric and adult patients with CESD. In the trial in infants with Wolman disease, six of nine infants (67 percent) treated with Kanuma were alive at 12 months of age, whereas none of the 21 infants in the historical control group survived. In the trial in CESD patients, there was a statistically significant improvement in LDL-cholesterol levels and other disease-related parameters in those treated with Kanuma versus placebo after 20 weeks of treatment. The most common side effects observed in patients treated with Kanuma are diarrhea, vomiting, fever, rhinitis, anemia, cough, headache, constipation, and nausea. In its review of the GE chicken application, CVM assessed the safety of the rDNA construct, including the safety of the rDNA construct to the animals, as well as a full review of the construct and its stability in the genome of the chicken over several generations. No adverse outcomes were noted in the chickens. As required by the National Environmental Policy Act and its implementing regulations, CVM evaluated the potential environmental impacts of approval of the sponsor’s GE chickens and determined that the approval does not cause any significant impact on the environment, because the chickens are raised in highly secure indoor facilities. “We reviewed all of the data to ensure that the hens do produce rhLAL in their egg whites, without suffering any adverse health effects from the introduced rDNA construct. The company has taken rigorous steps to ensure that neither the chickens nor the eggs will enter the food supply, and we have confirmed their containment systems by inspecting the manufacturing facilities,” said CVM Director Bernadette Dunham, D.V.M., Ph.D. The FDA granted Kanuma orphan drug designation because it treats a rare disease affecting fewer than 200,000 patients in the United States. Orphan drug designation provides financial incentives for rare disease drug development such as clinical trial tax credits, user fee waivers, and eligibility for market exclusivity to promote rare disease drug development. Kanuma was also granted breakthrough therapy designation as it is the first and only treatment available for Wolman disease, the very severe infant form of the disease. The breakthrough therapy designation program encourages the FDA to work collaboratively with sponsors, by providing timely advice and interactive communications, to help expedite the development and review of important new drugs for serious or life-threatening conditions. The Kanuma application was also granted a priority review, which is granted to drug applications that show a significant improvement in safety or effectiveness in the treatment of a serious condition. The manufacturer of Kanuma was granted a rare pediatric disease priority review voucher –– a provision intended to encourage development of new drugs and biologics for the prevention and treatment of rare pediatric diseases. Kanuma is produced by Alexion Pharmaceuticals Inc., based in Cheshire, Connecticut.